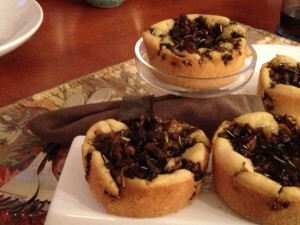 Our Yiayia would always tell us about foraging for wild mushrooms as she cooked up our favorite mushroom pitas. She said, Greece is a land of mountains and mushrooms love mountains. As she talked and cooked, the kitchen would fill with the aromas of thyme and rosemary and carry our imaginations right up Yiayia’s mountainside with her. mushroom pita will become one of your favorite meals. 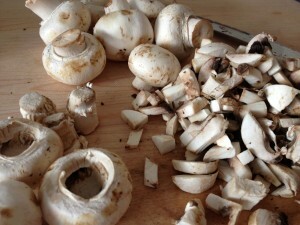 I use basic small white or brown mushrooms. You can substitute with other varieties, just make sure they’re chopped well. Save the stems for mushroom broth. When I don’t have enough to use right away, I pop them in a ziploc and keep them in the freezer until ready to use. Cook your mushrooms on very low heat. This recipe calls for them to cook for about 10 minutes. At that point, the mushrooms will be just slightly undercooked. That way, their time in the oven brings them to delicious doneness. Before adding the rosemary and thyme, make sure to crush them both extremely well. And it’s important that the garlic and onions are finely minced. 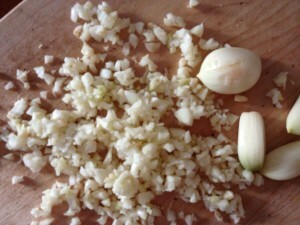 I like to use shallots in this recipe and my Yiayia used small sweet onions. Try to stay at the smaller, sweeter end of onion varieties for tastiest results here. Do not add any liquid to the mushrooms, they’ll give off juices as they cook down. It’s important here to drain your cooked mushrooms of their cooking liquid before adding them to the pita batter dough. And save the liquid – there won’t be a lot but it’s delicious to drink up all on its own. After filling the pita batter dough in your choice of pan, do not cover the mushrooms with more batter the way that we do with squash pitas. 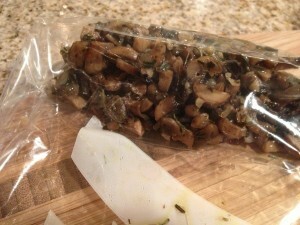 This allows the mushrooms to be oven roasted a bit and deepens their flavor. It also lets any remaining liquid in the mushrooms cook off and not steam up the dough. Cook for about 45 minutes or until the edges of the dough turn golden brown. Allow the pitas to cool in the pan for at least 30 minutes before removing them. Run a knife around the edges and carefully lift them from the pan. If you’re using cupcake or muffin lines, remember to remove before serving. Saute onions and garlic in olive oil on low heat until soft. 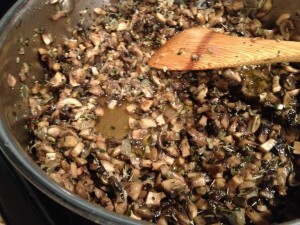 Add herbs, spices and cook for 2-3 minutes before adding chopped mushrooms. 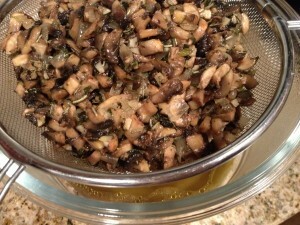 Mix mushrooms and garlic/onion/herbs/spices well and cook uncovered on low heat for 10 minutes. Remove mushrooms from pan and drain off cooking liquid. Set aside. Mix pita batter dough and fill pan(s) 1/2 full. Add cooked mushrooms to the center of pan(s). 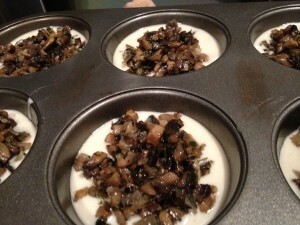 If using muffin tins, add 1/2 cup to each. Cook at 375 degrees for approximately 45 minutes or until edges of dough are golden brown. Allow pita to cool in pan and loosen the sides with knife before carefully removing. Serve warm or at room temperature. These will stay fresh covered in the refrigerator for 3-4 days. Reheat in 350 oven covered in aluminum foil for 10-15 minutes. Kali Orexi! If you have any leftover mushrooms, these are the most amazing mix-in added to rice pilaf. I usually can’t help myself, though, and munch on the leftovers while the pitas are in the oven! Just made these for our church’s feast day tomorrow…they came out amazing. Thank you! 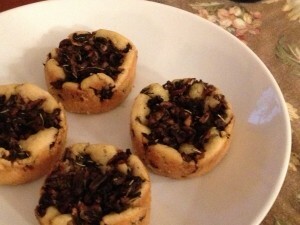 I made these last night…..they where amazing!!!! Thankyou so much for your website!